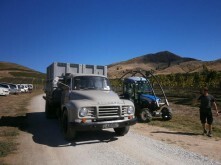 As predicted harvest has started early this year - on 8th March in fact. 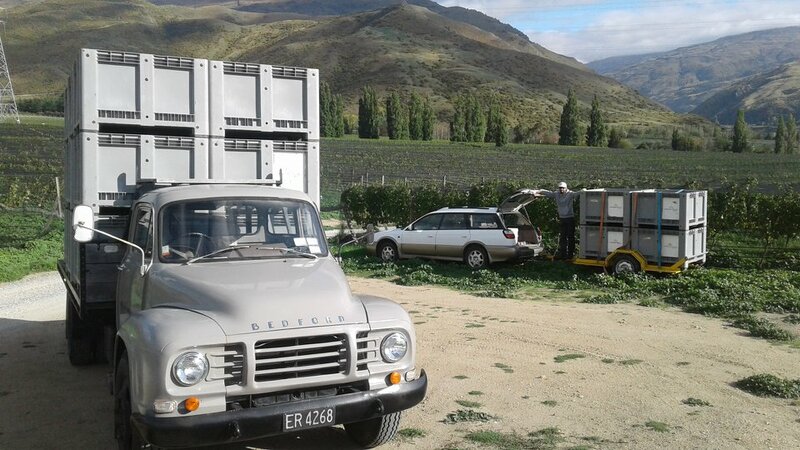 The trusty 58 year-old Bedford Truck was once again an important (crucial!) part of the operation - not quite sure what we will do when it finally has to be retired! 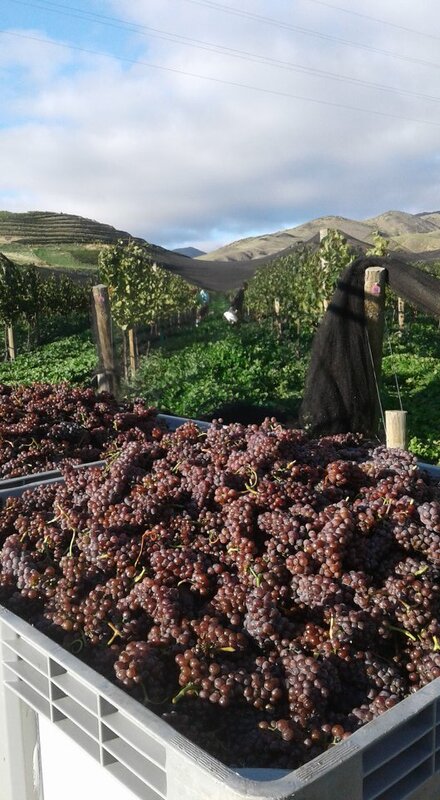 With the Pinot Gris (looking good in the bins below) and Sauvignon Blanc from Defiance Vineyard coming off in two long days for the vineyard team. 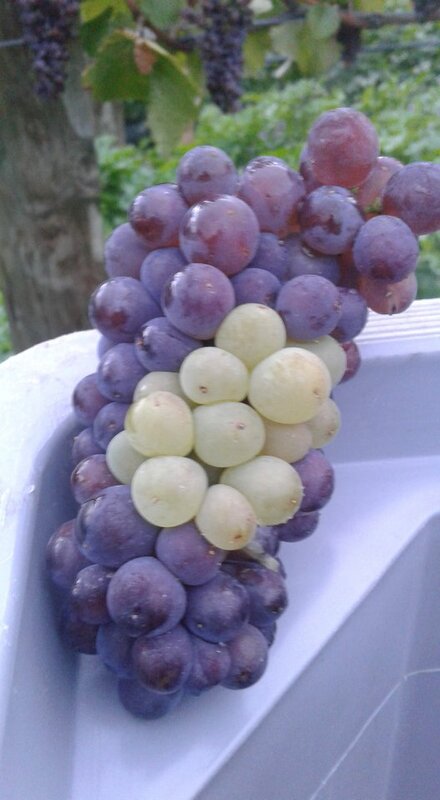 As sometimes happens we had the occasional bunch of Pinot Gris that could not make up its mind whether it wanted to be Pinot Gris or Pinot Blanc!! PS 8th March was also an important day for us as the 2017 Pinots and Chardonnay were bottled. Looking good, but you will need to be patient as these will not be available until next year at the earliest. Trouble Logging In? Forgotten Your Password? All content © 2019 Domain Road Vineyards. it's 18 years minimum to enter this site.